We use the dumbbells to do exercises that knock every major muscle group, including your back, chest, abdominals, legs, hips, shoulders as well as arms. If you want to shape your body, you really need a full set of dumbbells. Then, You need to store them. You can store them in a corner of your floor but, they will definitely clutter up the place. Buying 2 or 3 Tier Dumbbell Rack is the perfect solution to store them. 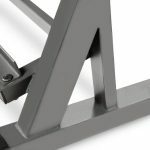 In this post, I will discuss 5 racks which are made from Solid Steel. Marcy Dumbbell Rack has three angled tiers that accept various dumbbell sizes and styles. This 33 inches tall and 36 inches wide rack can hold 800 pounds. Heavy gauge steel tubing frame. 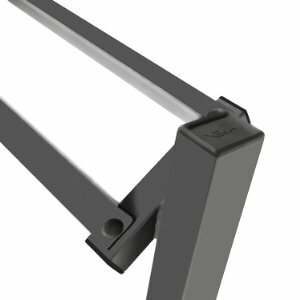 The dumbbell rails: Rails are made of extra strong, heavy-duty steel and provide a powder coat finish to ensure durability. The Feet: The Feet prevents the rack from sliding. 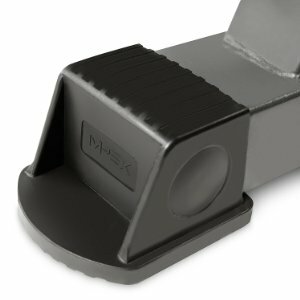 Moreover, the Rubberized feet allow for floor protection from scratches and absorb shock for re-stacking weights. 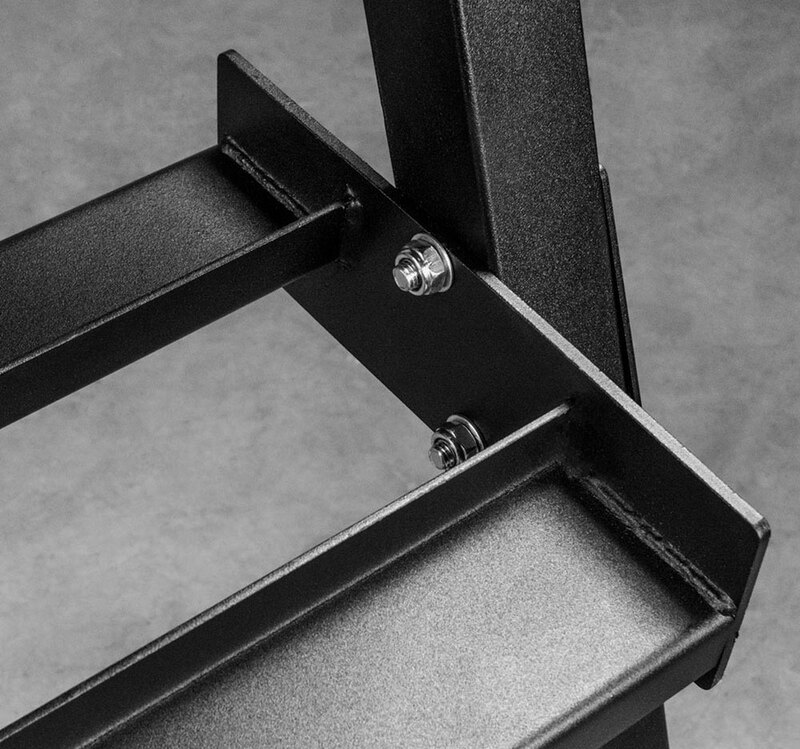 The Frame: The strong welded construction ensures safety, furthermore the angled frame design allows for easy access. Assembled dimensions: 36L x 22W x 33H inches. Walter Marcyan Founded Marcy Gymnasium Equipment Company in 1959. He was an innovator as well as a visionary. He began training at the newly established Muscle Beach located Santa Monica, California: providing famous training facility that still exists today. Many of the legendary pioneers of bodybuilding such as Jack LaLanne, Bill Pearl, and Arnold Schwarzenegger began their careers. The fabulous Marcy brand continues to make its mark by producing new and innovative products to consumers worldwide. 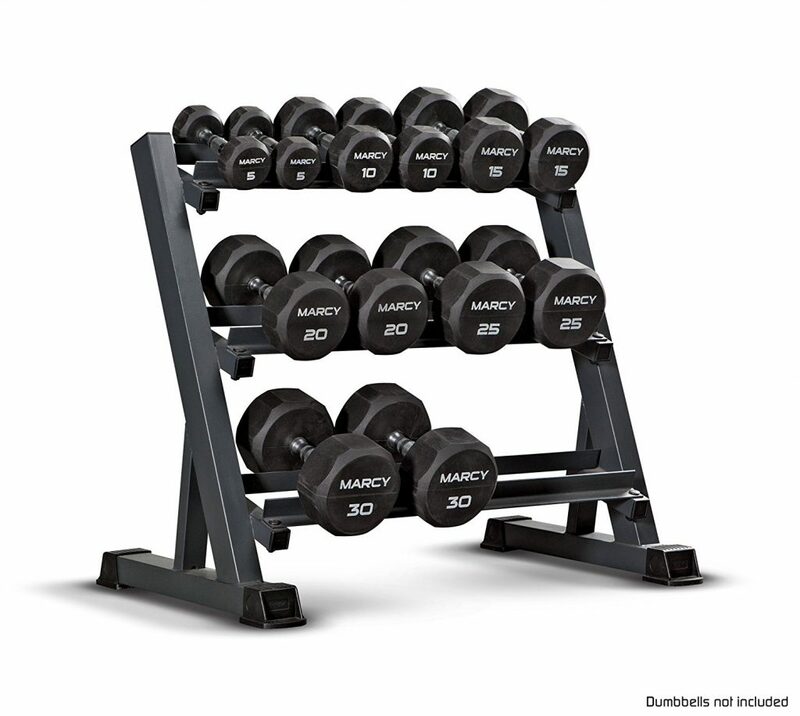 The Marcy 3 Tier Dumbbell Rack has a perfect design and commercial-grade steel construction. The Rack will not take a large space. It is the perfect 3-Tier rack for the beginner to experienced home gym aficionado. If your home gym has lots of dumbbells and if you are looking for a good quality dumbbell rack, let’s have a glance at Merax 800lbs 3-Tier Dumbbell Rack. 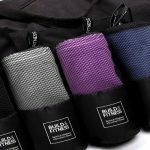 It is really an awesome and durable dumbbell rack that makes a handsome look for your home gym and at the same time, can help you to do the regular exercises properly. 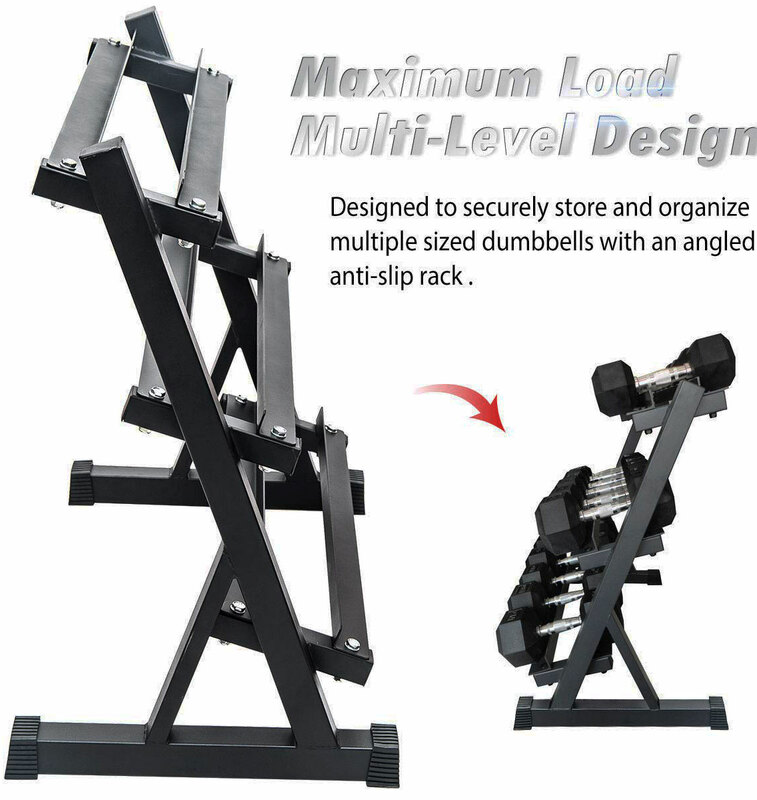 This amazing dumbbell rack has come with a handful of stunning features. Let’s have look at them. For being a 3 tier dumbbell rack, it will let you place a good number of dumbbells here. 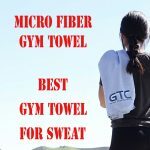 It is space-saving and so, very good for your home gym. It can hold over 800 lbs. Made of the heavy-duty steel and so very much durable. Black colored powder coating polish will protect the surface of it from scratches and so, always looks like new. Each shelf holds an anti-slip panel so that the weights can stay in their place. 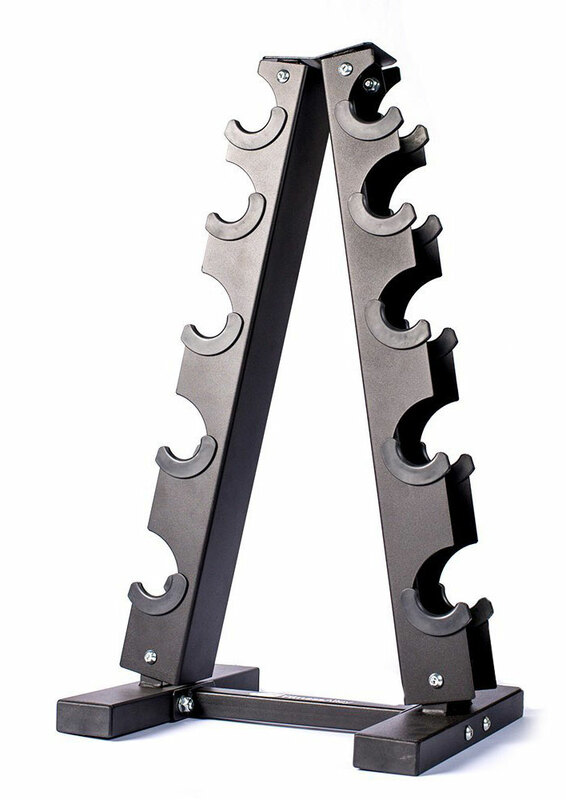 The shelves are positioned in such an angle that you will get it easy to hold and put the weights from the rack. Now, it is up to you whether to choose this awesome hand weight stand for your home gym. If your needs match with the features then it will be a good option. Let me introduce with another great hand weight rack that is known as the Fitness Alley Steel Dumbbell Rack. It is a 3 and 5 tier dumbbell rack with a great look and space-saving figures. Besides, in your home gym, you can keep your dumbbells in a row and safely, using it. So, you don’t have to see a mess of dumbbells in your place. A number of other fascinating features are also packed with this product. Let’s have a glance at them. • You can get any of its 3 tier and 5 tier racks. • It is very easy to move as it portable. • It includes 2 different bottom selves and a separated one. 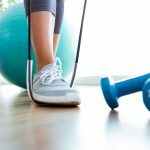 • It is space-saving and so, in your home gym, it suits well. 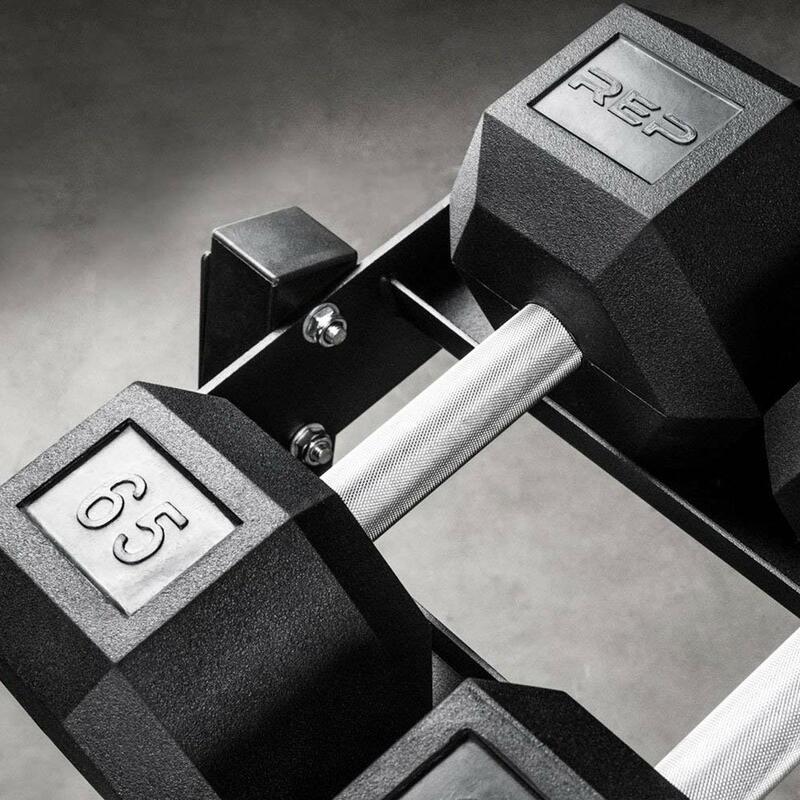 • Made of solid steel and sleek exterior that helps to keep the weights in their right places. • The 3 tier rack can hold over 120 lbs. and the 5 tier rack can hold over 200 lbs. • The special polish saves the weights to get scratches. • Durable screws enhance the stability of the rack. For this dumbbell rack, you can make an option between its two versions. Rethink about your needs and budget. If they are okay with this rack, you can then rely on it. 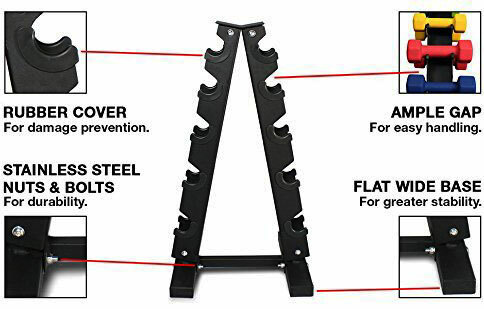 Fitness Republic Steel Dumbbell Rack is another great option for you if you are looking for a dumbbell rack or dumbbell stand for your home gym. It is a durable dumbbell stand that comes with two different types of 3 and 5 tiers. 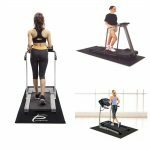 It is also very smartly designed and so, it suits well in the indoor home gym. 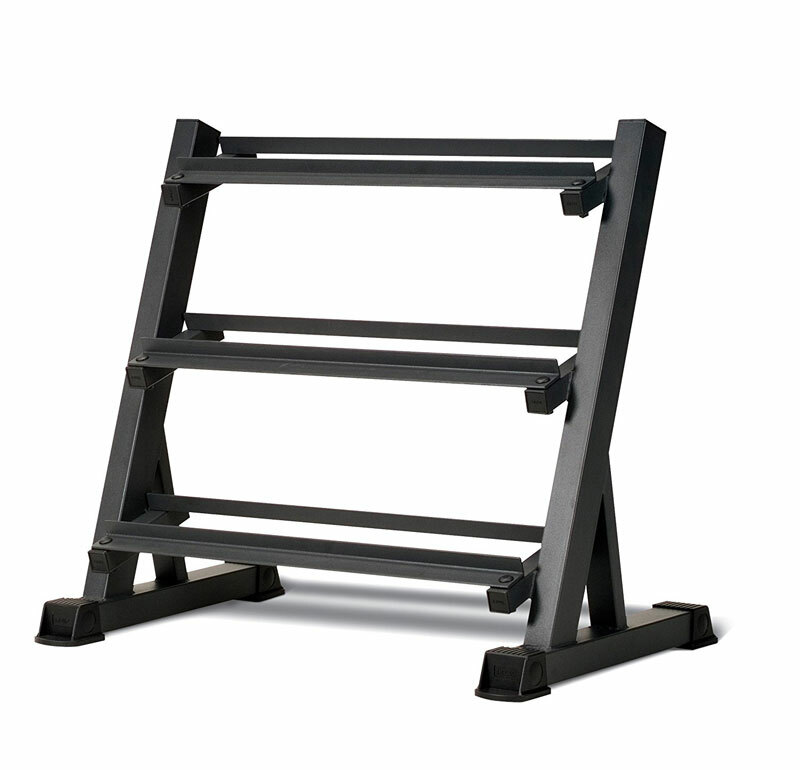 This rack is portable, easy to move and durable enough to amaze you. So, let’s have a look at the features of this saddles. • You can grab any of its 3 tiers and 5 tiers dumbbell holder. 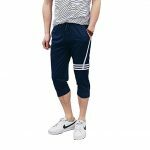 • Made with solid steel construction and so, it is very durable. • There are the ample gaps that are covered by the rubber protection so that it can prevent the rack and the dumbbell from getting scratches. • Stainless steel nuts are good to increase the stability of this rack. • The 3 tier rack can hold a pair of 20,17.5 and 15 lbs. weights. • The 3 tier rack can hold up to 120 lbs. while the 5 tier rack can hold over 200 lbs. of weights. • You can keep dumbbells of neoprene, vinyl, and rubber in this rack. • The flat wide base at the bottom of the stand enhances its stability. I hope you have already got an idea about the functions and specialties of this stunning dumbbell rack. And also get the point on why this rack is greatly recommended. If you want to have a dumbbell stand to place your dumbbells safely and securely, you can use Rep Dumbbell Rack. 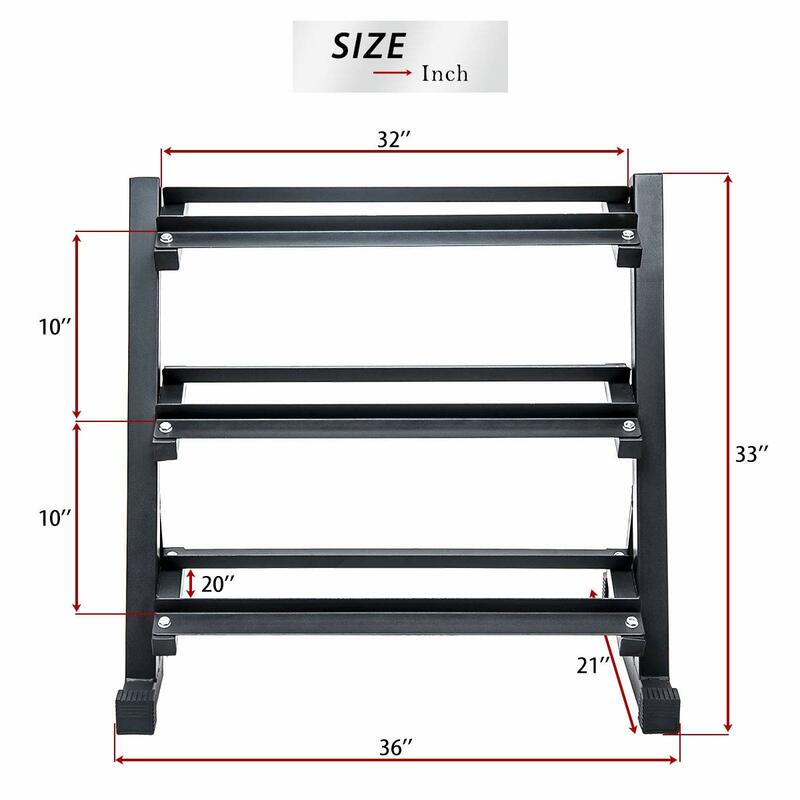 It is really a very good looking and smartly designed rack that holds a huge amount of weight. This amazing rack has created with a handful of amazing features that must impress you. Besides, it is space-saving, durable and very easy to move. So, let’s see what’s more it will offer. • It is actually a 3 tier dumbbell rack that means you can place the dumbbells in 3 different rows. • It is made of the solid steel construction so it is much durable. 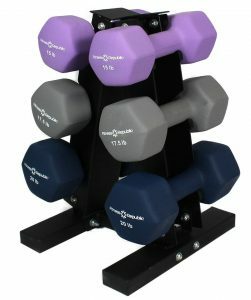 • This 3 tier dumbbell rack can hold the 5-55 lbs. set of dumbbells and also the set of 55-75 lbs. easily. • In general, it can hold up to 800lbs. So, you don’t have to think about the weight capacity of this rack. • It is only 75 lbs. and so, you can move it easily. 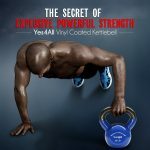 • The black colored power is used as the coating to prevent it from getting scratches or making scratches on the dumbbells. 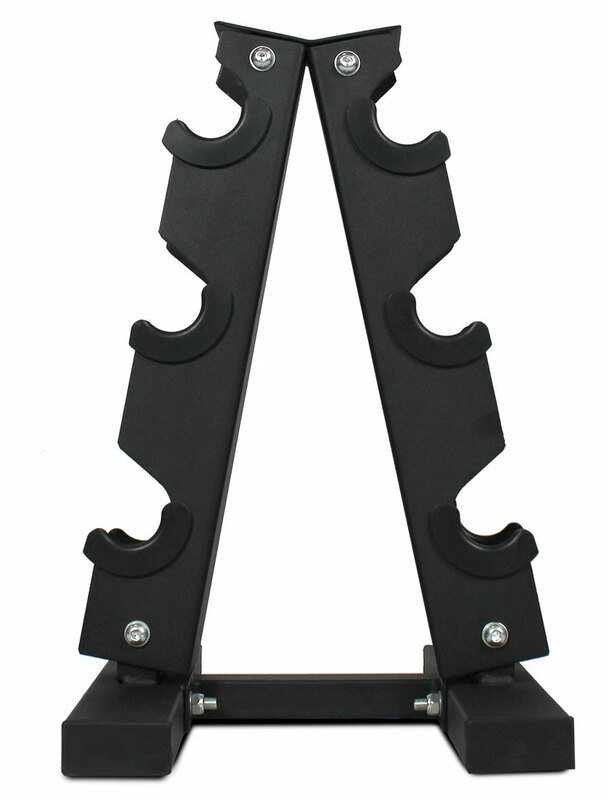 • This weight stand includes the rubber feet to prevent slip with the laser cut logo. So, it will not make any noise and you can load and unload the weights easily on the rack. If your dumbbells are of 5-55 lbs. then this weight rack is a very good option for you. 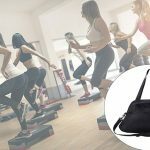 All it’s features are quite suitable for any kind of home gym. A dumbbell racker is exceptionally useful. Not only it reduces clutter but also it allows you to store and organize your dumbbells. 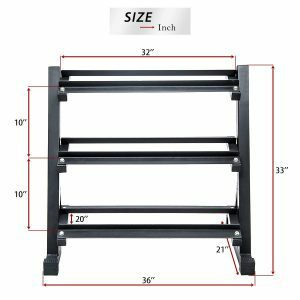 So if you are tired of storing your dumbbells in corners or under the bed and want to buy dumbbells rack then you can buy any of these 3 Tier Dumbbell Rack without any hesitation.